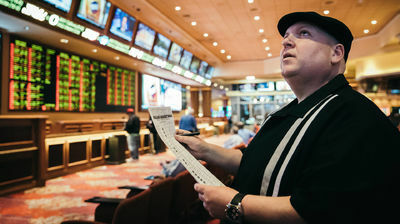 The economic impact of sports gambling and the dangers of addiction are explored following a landmark court ruling to legalize sports betting. Professional gamblers, handicappers, polarizing consultants, illegal bookies and more are chronicled as the 2018 NFL season continues, revealing their introduction to sports betting and the hazards of the industry. The potential for corruption and scandal among athletes is also explored as this once-taboo community welcomes legalization.